DETROIT—Saying the automaker is always looking ahead to the future, top executives from General Motors announced plans Thursday to recall a fully autonomous car by 2021. 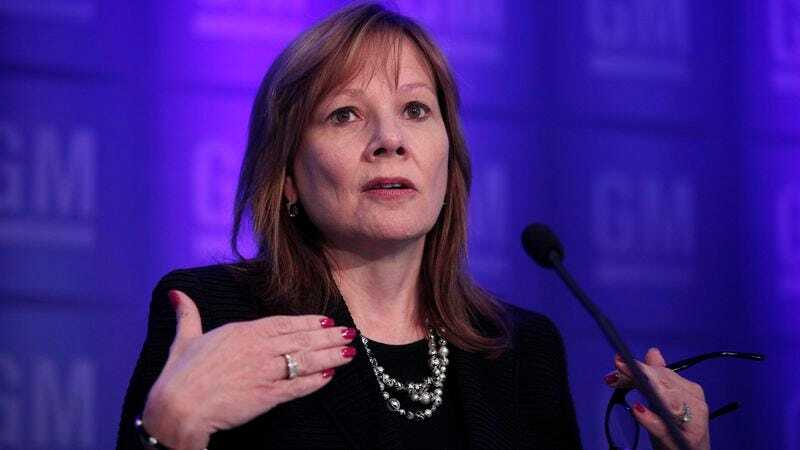 “By early next decade, GM plans to put over 500,000 self-driving vehicles on the nation’s roads, and then later take them off the roads amidst serious public safety concerns,” said CEO Mary Barra during a press event, explaining that she was certain General Motors would be the first major car manufacturer in the world to roll out a large-scale recall of a driverless automobile. “We’ve begun to test several autonomous prototypes with life-threatening mechanical flaws, and in just six short years, we’re confident that you’ll see GM driverless cars in nearly every tragic newspaper article and television news segment in America.” Barra added that GM’s forthcoming self-driving car would receive the highest-profile model line launch and ensuing defect cover-up in the company’s history.